Whether you're buying a brand new Peugeot with a 3 year warranty or an approved used car with a minimum 12 month Peugeot guarantee, we can offer you a plan that'll cover your back when your initial warranty expires. It's a load off your mind when you know that if any unforeseen issues occur then we will pick up the bill, both parts and labour. You'll receive protection against unforeseen repair costs, a maintained ongoing service history, full European and UK breakdown cover and a better resale value should you ever think about selling your Peugeot. It allows new car owners to extend many of the features and benefits of our standard 3 year/90,000 mile warranty*, and used car owners to extend their 12 month Peugeot guarantee, by 1 more year with no mileage limitations. So, in the event of a mechanical or electrical breakdown, you'll receive help and parts from the people who know your car the best - Peugeot approved technicians. And if your vehicle is still under manufacturer's warranty, we can, at additional cost, provide you with a guarantee that kicks in on the date your warranty expires. All we ask in return is that you have your car serviced at your Honda dealer. 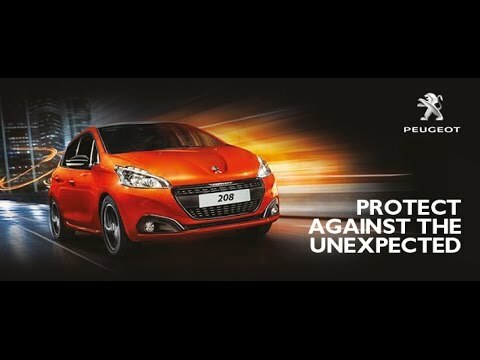 Our offer of a Peugeot Guarantee is a unique customer care product, that is only available from an Authorised Peugeot Dealer.